Being a “Yes!” person can become exhausting, but it’s also incredibly rewarding. 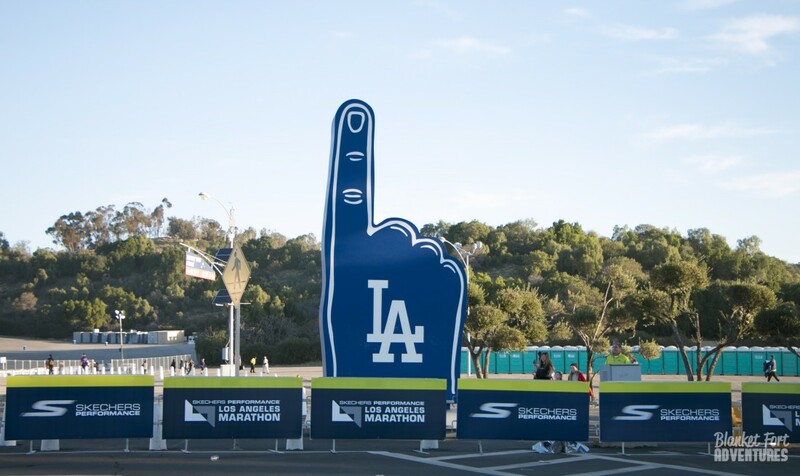 One of the things I said yes to last month was volunteering with Students Run LA at the LA Marathon. 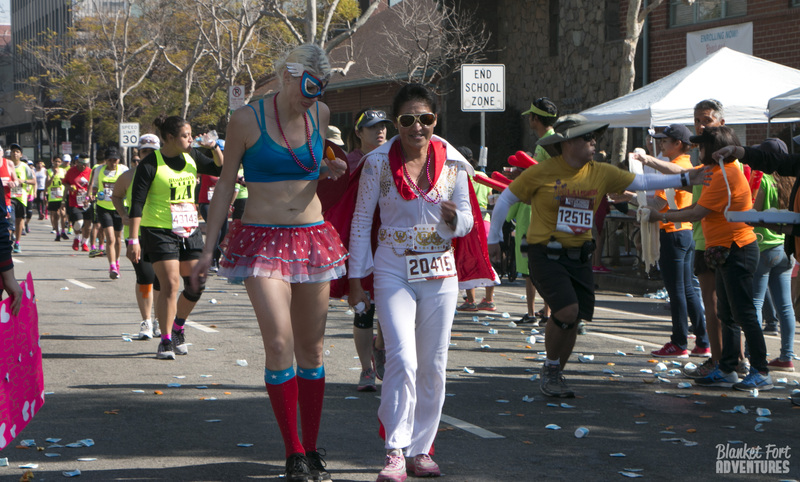 I was a shutterbug for their team and snapped a lot of great photos of the kids running the marathon. 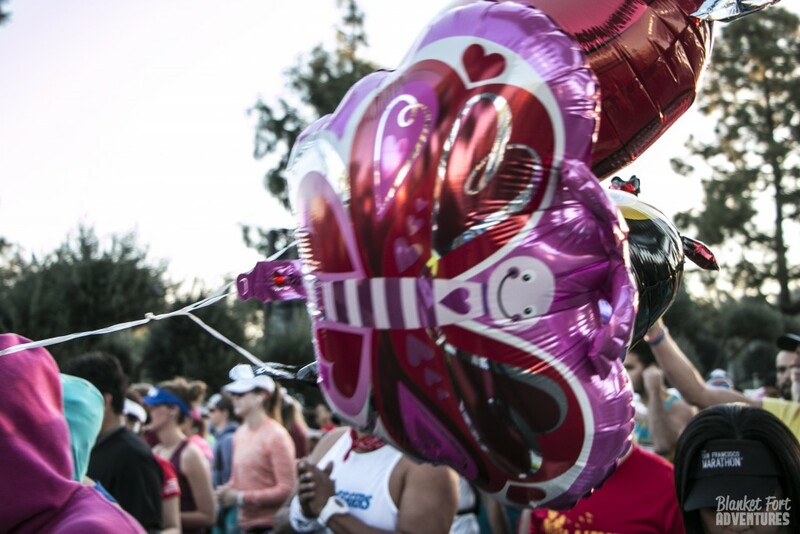 Students Run LA is non-profit organization that helps to train Middle School and High School kids to run the LA Marathon and instill a great sense of accomplishment in them at a really young age. I was seriously impressed by those kids. I wonder what I’d be like now if I had participated in an after-school program like Students Run LA. When I was a teenager I acted out of fear and tended to say “no” to a lot of things. Sadly, missing out on awesome opportunites because I felt I already knew what it would be like. Thankfully as an adult and now being a “yes” person, I know that when you say “yes” you invite so much more greatness into your life. While at the marathon I ended up running into a grade school friend of mine, I felt the buzzing energy of the runners all around me, I learned that runners use trash bags to stay warm, and The Fairmont Hotel in Santa Monica is a great staycation destination. Also, since I did have my camera in hand, I couldn’t help but take photos of the unique charaters of the LA Marathon. 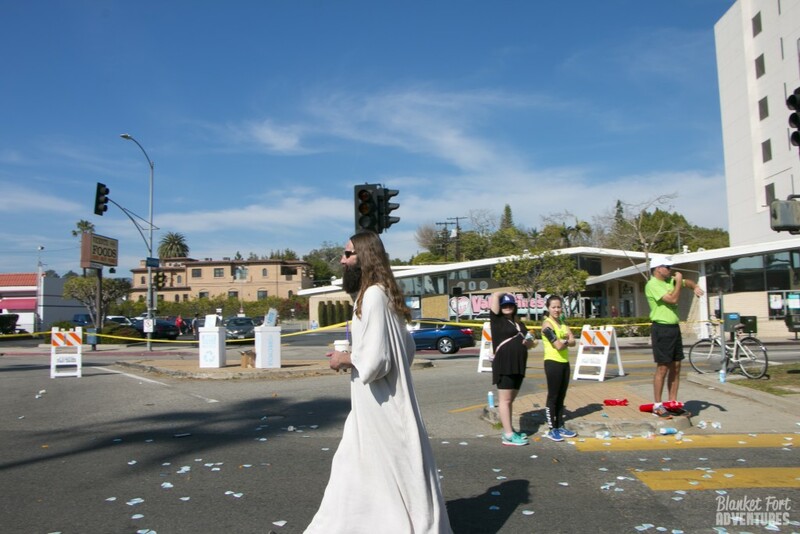 This was the first marathon I’ve ever witnessed but it was in Los Angeles, so although not surprised that people were in costume, I was still wildly ammused by them. Unique characters I can now share with you! 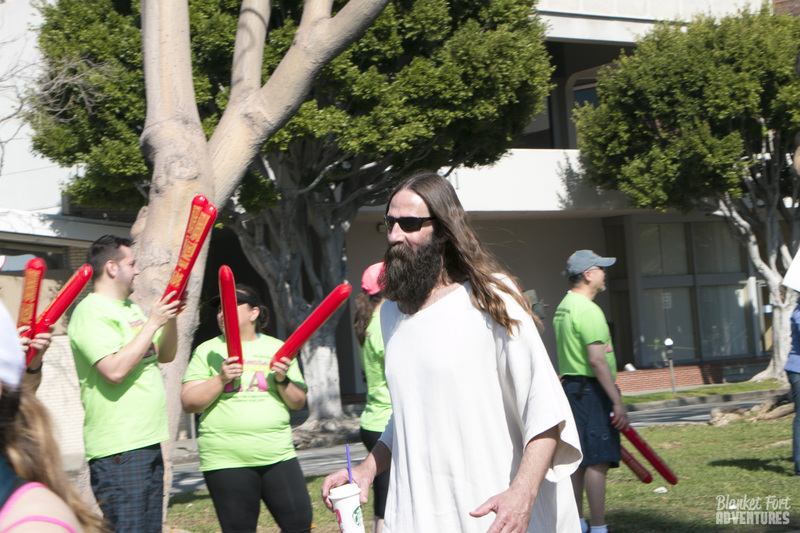 What’s more shocking to you, a barefoot man or Jesus? 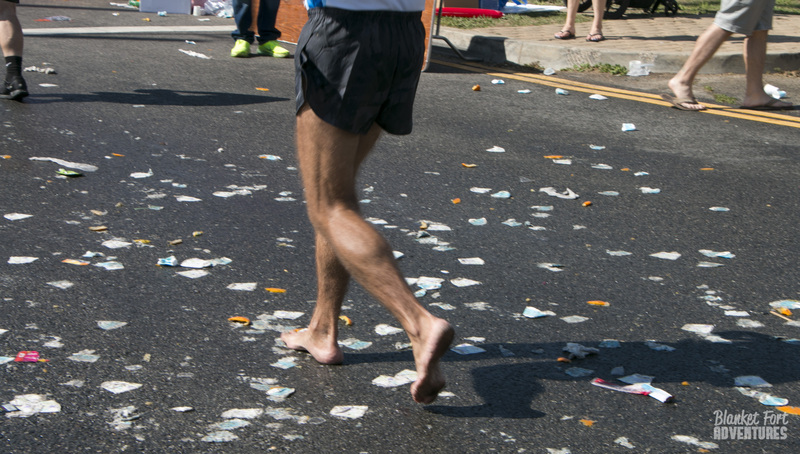 I say the barefoot man. 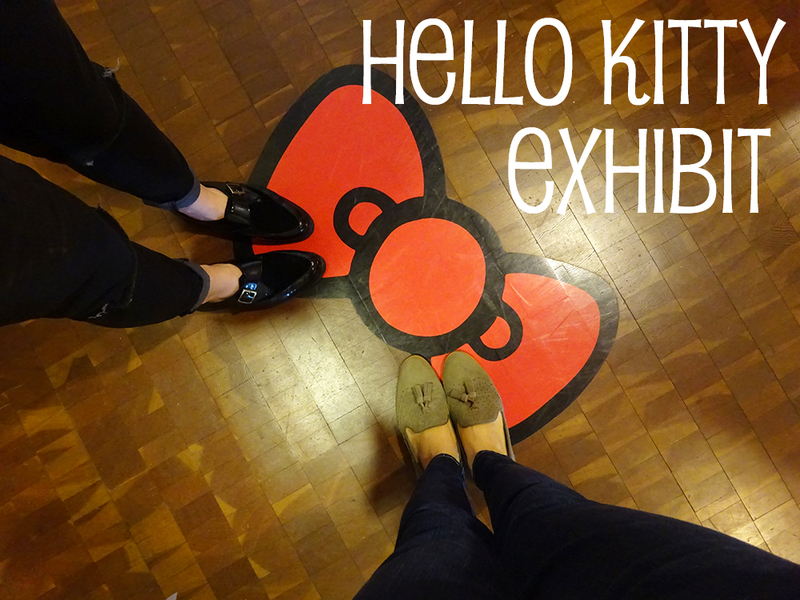 From October to May the Japanese American National Museum had a Hello Kitty Exhibit. 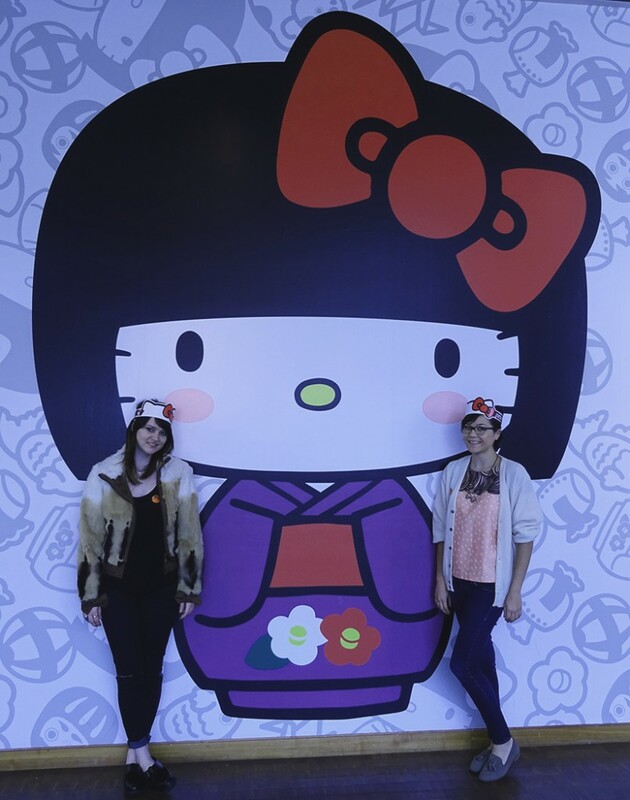 The history of Sanrio’s famed kitty with all her merchandised wonder was on display and a Hello Kitty inspired art exhibit. 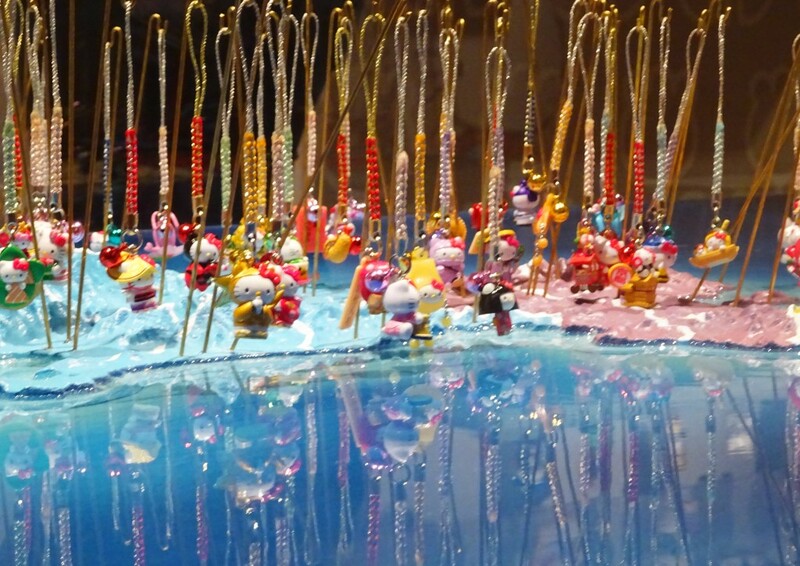 A friend of mine and I went a few weeks before its closing and had every intention of posting this blog post in a timely manner. Pause for dramatic effect – looks at date of post –crickets – let’s move on. When I was growing up, Little Tokyo in Los Angeles was the equivalent of a ghost town. My Bachan (Japanese for Grandma) and Jichan (Japanese for Grandpa) would take me to Little Tokyo, I don’t even recall what we would do there, but I remember no one but the shop keepers and a few other Japanese people would be walking around. Now Little Tokyo is a hip part of downtown LA. I credit Little Tokyo’s hipster interest to The Geffen MOCA Contemporary, ramen, and the onset of Japanese cultural obsession ever since Gwen Stefenai’s Love Angel Music Baby album. I’m still surprised how hard it is to find parking around there. 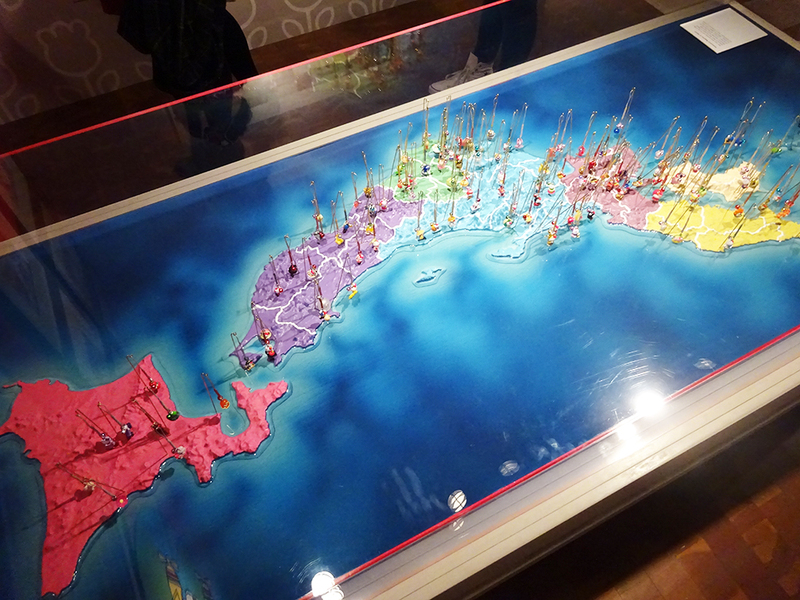 Even for the non-Hello Kitty obsessed the exhibit was fascinating. 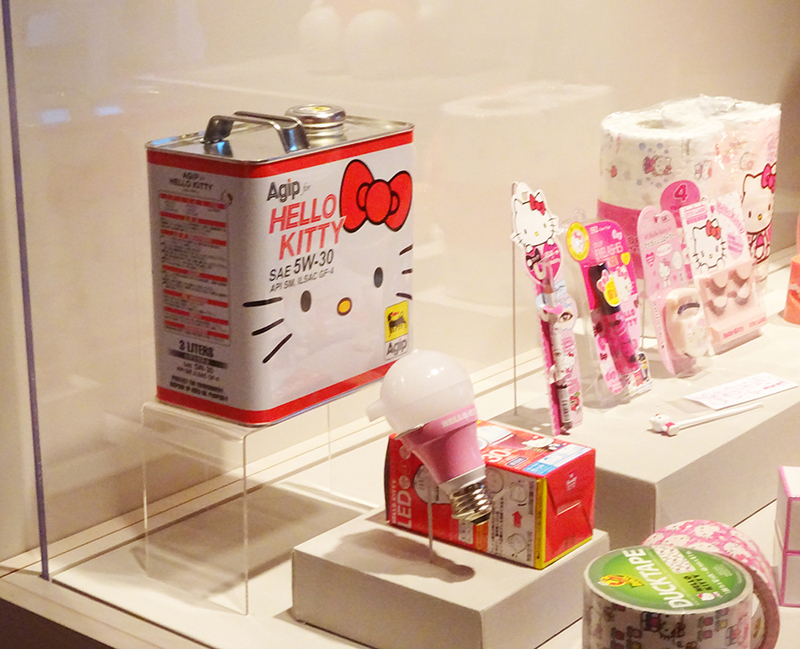 Every Hello Kitty merchandised object (practically) ever created was on display, including the HK personal massager. Here are my favorite finds from the show. 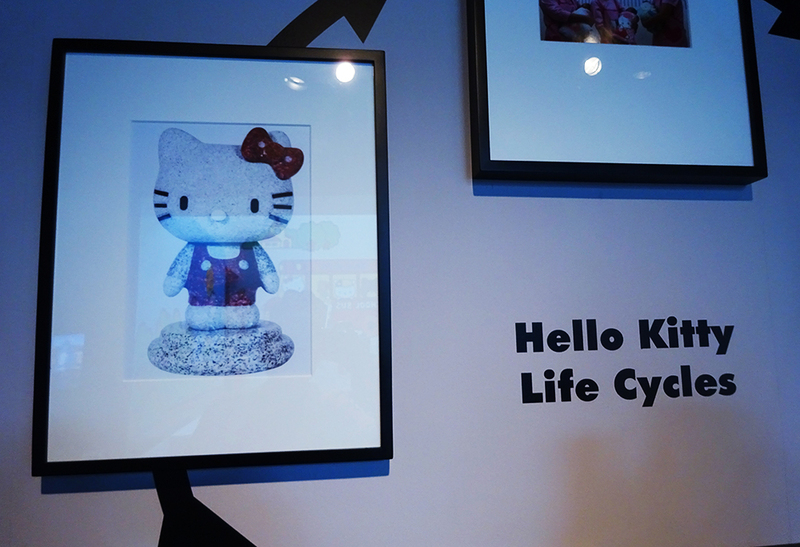 Hello Kitty has a life cycle and it includes a gravestone / urn / tombstone. Does you car need an oil change? Well you can do it with premieum Hello Kitty oil. Anita Ward and Alicia Bridges all night long. 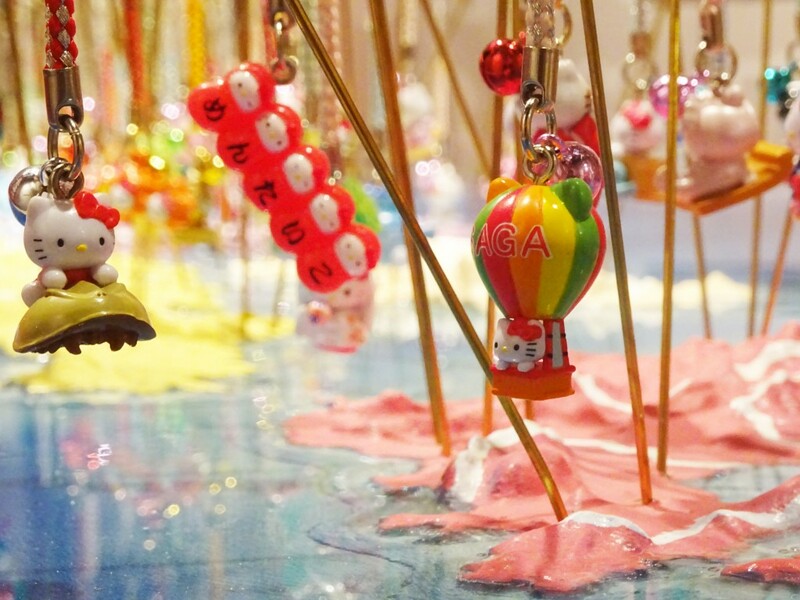 Apparently different parts of Japan have different Hello Kitty charms and it’s wonderful. Got to catch them all!! 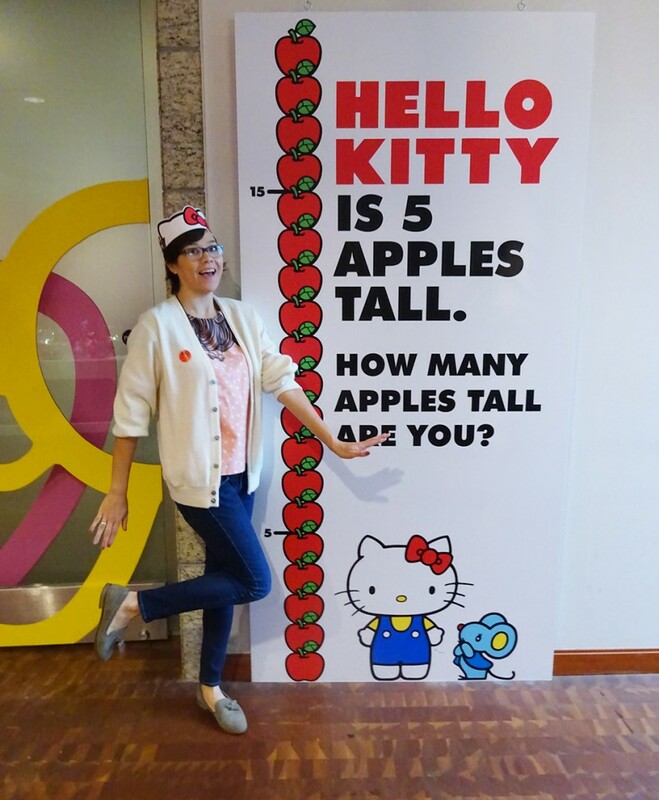 Look how tall I am compared to Hello Kitty – what a shorty! 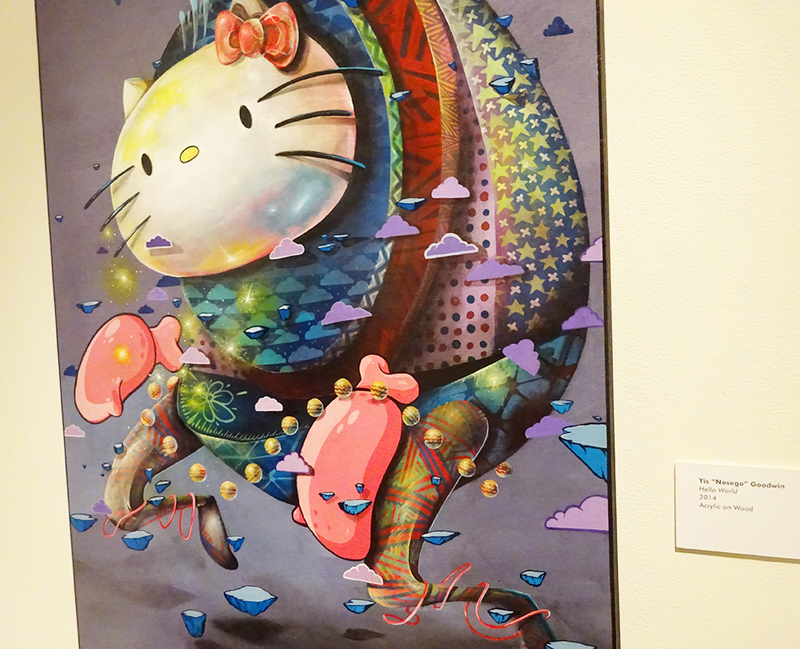 Hello Kitty piece by Nosego – who is currently showing at Thinkspace Gallery! Seriously obessed with this piece by Michael Courville, all the vintage brooches and jewlery -its stunning. 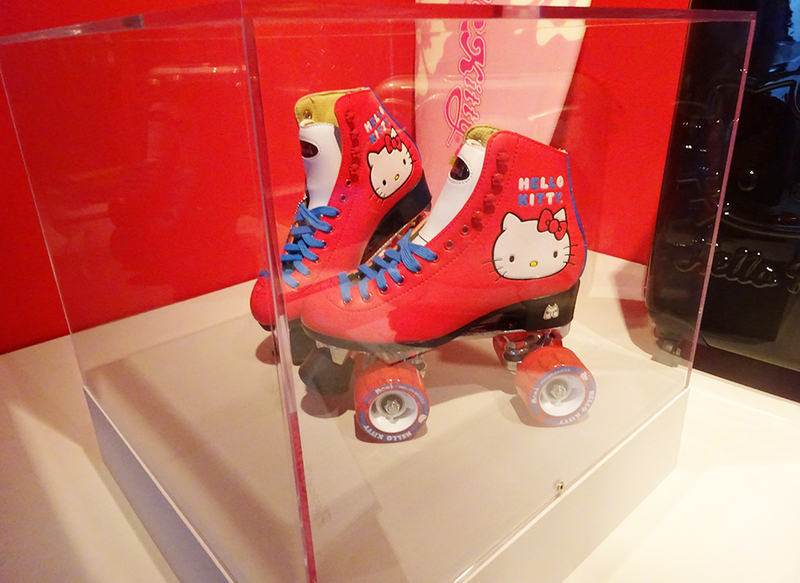 There was SO MUCH at the Hello Kitty exhibit, I just shared my favorite bits. I’m sorry for posting this now, instead of a week before the exhibit closed, incase my blog coverage really tipped the scales towards inspiring a person to see the show. 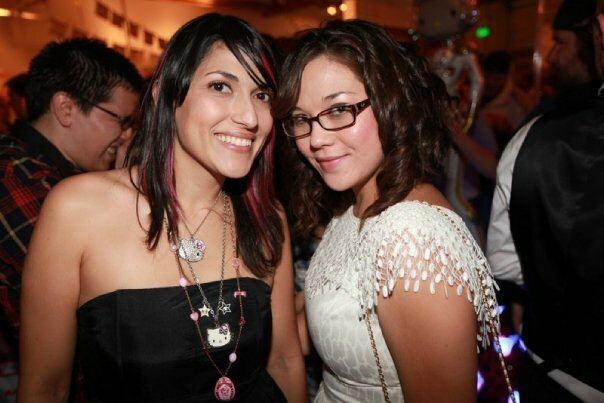 I was at the first Hello Kitty art show in 2009, helping to coordinate art sells. 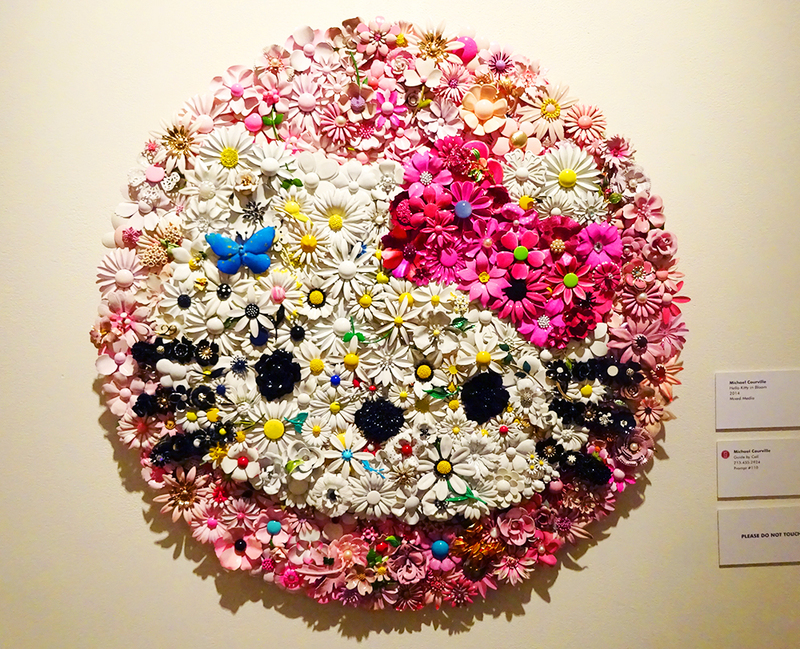 I’m just in awe and overwhelmed with joy at seeing how the Hello Kitty art show has grown and I’m so excited/proud to see what Jamie Rivadeneira, owner of JapanLA, has created and developed over the last 6 years. My best friend used to work at Japan LA and introduced me to Jamie. Can’t lie when I say I feel a little cooler being on a first name basis with such a dynamic person. Here is a shot of us a the first exhibit, you can see a piece by Colin Christian in the background.